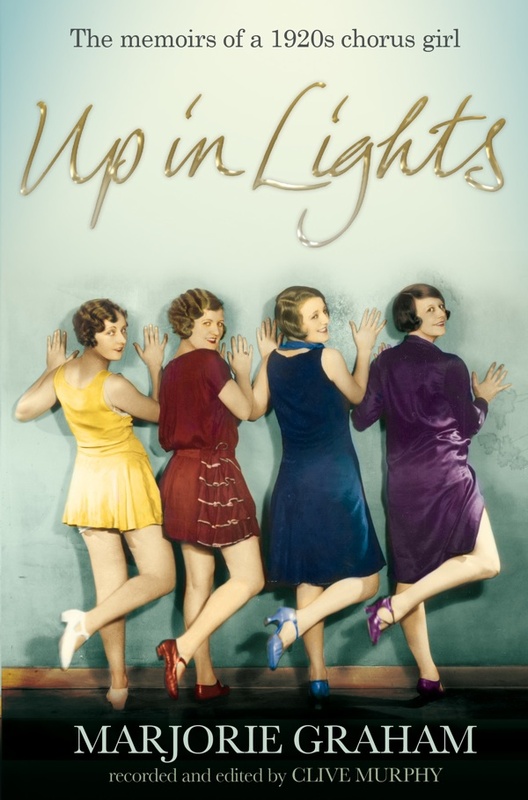 Originally published in 1980, Clive Murphy’s wonderfully candid account of Marjorie Graham - the chorus girl who fell upon hard times and became a lavatory attendant at the Metropole Cinema in Victoria – is to be republished by Pan Macmillan later this month. Simultaneously heartwarming and heartbreaking, Marjorie’s wit and resilient good humour in the face of the perils of show business life make this a compelling read. 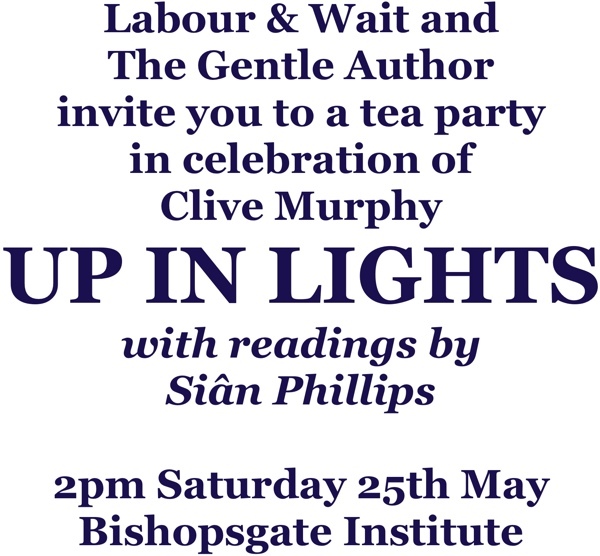 In collaboration with our friends at Labour & Wait, we are proud to be hosting a tea party in celebration of Clive at the Bishopsgate Institute at 2pm on Saturday 25th May and we hope you will join us for what promises to be a sparkling literary event. 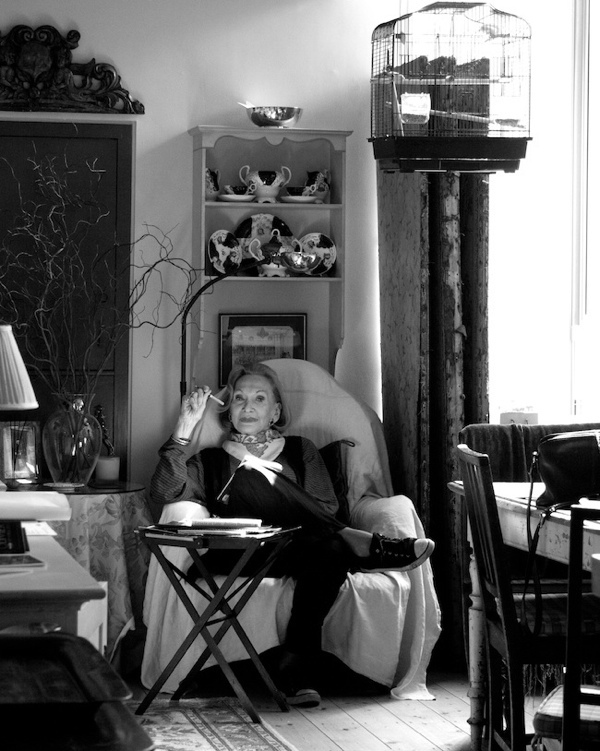 Distinguished actress and Spitalfields resident Siân Phillips will be with reading selections from the book and Clive’s favourite lemon sponge will be served. Admission is free but capacity is limited, so we advise you to call 020 7392 9200 and reserve your ticket at once. 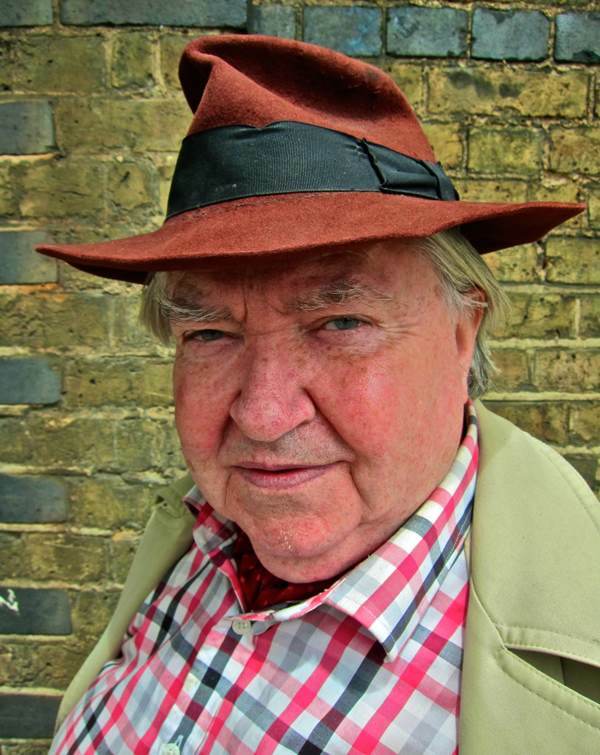 “In September 1970, I finished recording the memoirs of a retired London lavatory attendant. He lived, with his wife Johanna, in the dank basement of a house in Pimlico where I’d rented a bedsitter. Moving a year later to a bedsitter a few streets away, whom should I find living there in another dank basement, with her husband Jock, but Marjorie Graham, a retired female lavatory attendant, as happy to reminisce as her male predecessor. Coincidence, Luck or Fate, call it what you will – by the end of 1973 I was ready to offer publishers my brace of memoirs which would make a fortune for all concerned. My attempts, though, to arouse interest were firstly rejected out of hand. One editor replied, ‘Write to us again when you’ve recorded an attendant that’s a hermaphrodite and we might publish them as a trio.’ Marjorie and her male counterpart were only taken on seven years later, along with other books I’d taped, by the publisher Dennis Dobson, to the delight, I’m glad to say, of many readers. The going had often been rough for me. A whole book per person takes more stamina than a short portrait . . .
Will be there. Terrific stuff. Such fortunate timing! I’ll be in London that weekend and have already booked! Thank you Gentle Author for all the good things you’ve brought my way. And Sian Philips’s Livia is forever etched in my mind as one of the greatest performances ever. Love the film with Clive – what a character he is! Great news! Wish I could be there for some lemon sponge and a chat with Clive. I wish Clive would write a book about my mother, and her varied life! Loved Up in Lights.